· The feet are removable which makes transportation and storage much easier and more efficient. 1>Crowd control barrier fence is used in traffic road control, road isolation belt, limit vehicles. 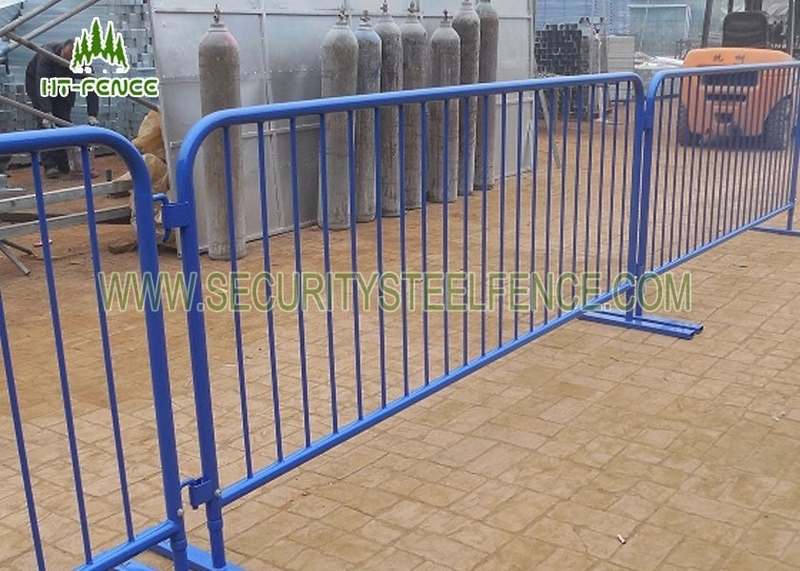 2>Crowd control barrier fence is also applied in concert, outdoor activity, Sport ground. 3>Crowd control barrier fence is very fitted for highway, public activities for crowd control. 4>Crowd control barrier fence is applied in temporary isolation.